By the age of 18, most adults have 32 teeth - 16 teeth on the top and 16 teeth on the bottom. Each tooth in the mouth has a specific name and function. The teeth in the front of the mouth (incisors, canine, and bicuspid teeth) are ideal for grasping and biting food into smaller pieces. The back teeth (molar teeth) are used to grind food up into a consistency suitable for swallowing. These poorly positioned impacted teeth can cause many problems. When they are partially erupted, the opening around the teeth allows bacteria to grow and will eventually cause an infection. The pressure from the erupting wisdom teeth may move other teeth and disrupt the orthodontic or natural alignment of teeth. 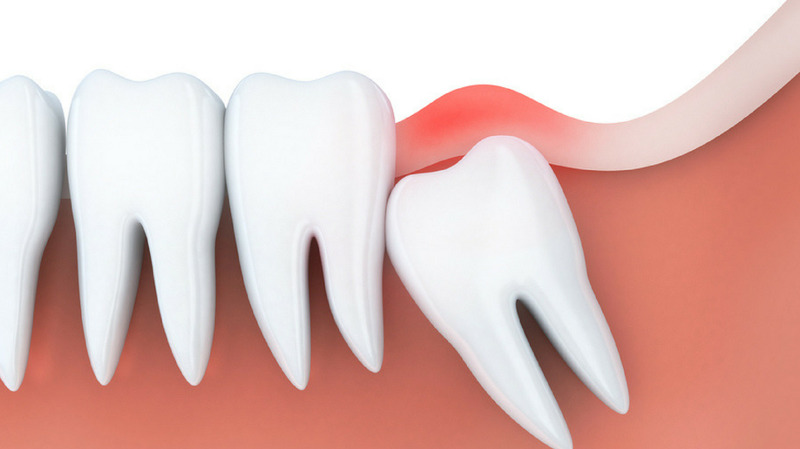 The most serious problem occurs when tumors or cysts form around the impacted wisdom teeth, resulting in the destruction of the jawbone and healthy teeth. Removal of the offending impacted teeth usually resolves these problems. • Disease of follicles including a cyst (a sac filled with fluid) or tumor. • Headaches or jaw ache.